Fervour, earnestness, devotion, enthusiasm, commitment. Do such words well describe your attitude to the Lord and his work? Or would terms such as apathy, lethargy, half-heartedness and indifference be more appropriate? Are you zealous for the Lord? The words zealous and jealous have the same root. We usually use the latter in a pejorative sense but jealousy is simply a desire to hold on to what one has. It should not always have a negative connotation. Envy is desiring to possess what belongs to someone else, a far more dangerous tendency. Zeal is more neutral, the desire to possess. It is always a strong emotion. Solomon’s Song says, love is as strong as death, its jealousy (ardour or zeal) is as strong as death. Such zeal can be good or bad. When giving the Ten Commandments, the LORD declared himself to be a jealous God. My name is Jealous he says later (Exodus 34), a consuming fire, a jealous God (Deuteronomy 4). His zeal burns against idolatry and sin. It brings salvation to his people. Isaiah speaks of God as Saviour wrapping himself in zeal as a cloak. Christ’s birth and the saving of the remnant are put down to the LORD’s zeal. 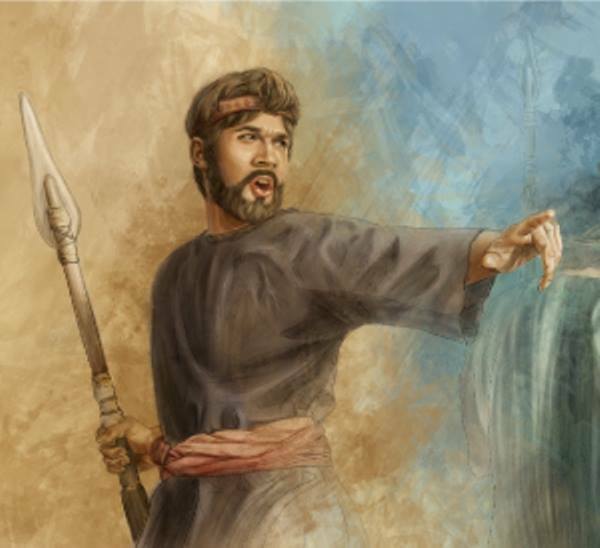 Ezekiel talks about God bringing Jacob out of captivity in zeal for his holy name. This zeal is seen in the Lord Jesus Christ, notably when he drove the money changers from the Temple. It reminded the disciples of Psalm 69:9 Zeal for your house has consumed me. Jesus’s whole life was characterised by burning energy, an eagerness to do good that led inevitably to his death. We do not serve an apathetic God but one characterised by all consuming zeal. It is a zeal that all believers should emulate in service to him. However, not all zeal is good. Enthusiasm and commitment are not innately righteous. There can be wrong motives and wrong methods. Paul warns the Galatians against the false motives of zealous Judaisers. It is fine to be zealous he says provided the purpose is good. We admire the apparent zeal of ‘JWs’ but we must decry what they believe. There is plenty of religious zeal around. Some are fanatical in their devotion but, as with the Jews, it is too often not based on knowledge and so is counter-productive. It is not good to have zeal without knowledge, nor to be hasty and miss the way (Proverbs 19:2). Even when motives are right the zeal may be sinful. Paul himself had been zealous for the traditions of his fathers. That zeal had lead him to persecute Christians. He was not the last to make that mistake. Misguided zeal may do much harm, as when Saul’s zeal for Israel and Judah led him to try and annihilate the Gibeonites (2 Kings 10:16). It is important to remember too that it is not enough to be zealous simply in one area of life. Jehu is commended for his zeal against Baal worship but condemned for his failure to keep the rest of the Law of God with all his heart. All believers are called to true zeal. Do not let your heart envy sinners but always be zealous for the fear of the LORD Proverbs 23:17. Never be lacking in zeal, but keep your spiritual fervour, serving the Lord Romans 12:11. Are you zealous for God’s Word? In his zeal for the Word David penned Psalm 119, which extols Scripture in practically every verse . Verse 139 speaks of how his zeal wore him out as he sought to stand firm for it despite fierce opposition. The Bereans are also a great example to us of zeal. Like them we ought to receive God’s Word eagerly. Are you zealous about your spiritual state? If you profess to be a Christian, it is your duty to be eager to make our calling and election sure. If we are falling away we must Be earnest and repent as Jesus says to the Laodiceans. Be zealous not luke warm! Are you zealous about other believers? In Colossians we read of Epaphras who, like Paul, is an example of a man who worked hard on behalf of God’s people. He wrestled in prayer for others. Pray for your brothers earnestly and be eager too to have spiritual gifts that build others up. Desire for mutual edification should make us all eager to share God’s blessings with others. Are you zealous about giving to God’s work? Like the Corinthians we should be eager and willing to give. Such enthusiasm can stir others up to give also (2 Corinthians 8:11, 9:2). Are you zealous for God’s honour? Phinehas’s example is an outstanding one. Paradoxically it was Phinehas’s harshness against sin that saved the people from God’s wrath. The thing about him was that he was as zealous for God’s honour as God himself. Could that be said of us? It is worth pondering.